Stand out and be found! 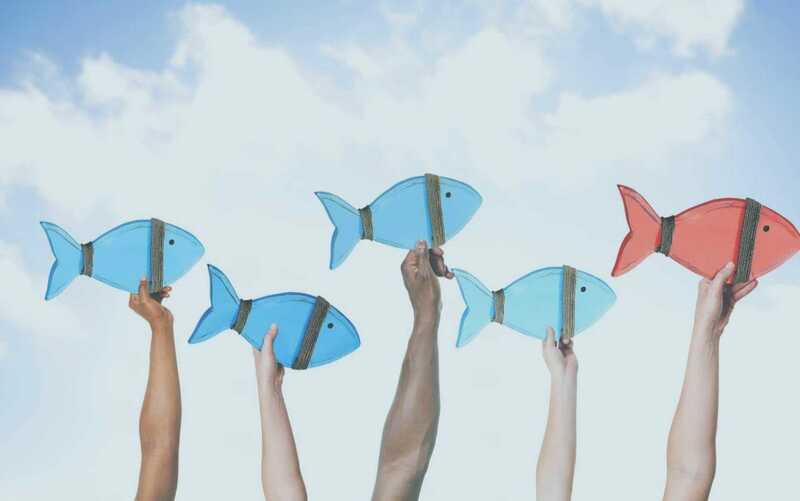 Are your potential customers finding you in the sea of other choices? Let us help you determine who your perfect client is and how to be found by them. We will share the tools that will help you stand out and get ahead of your competitors. 75% of users don’t look past the 1st page of search results when looking for a product or service. Our primary focus is SEO when planning and designing your website. We balance design and functionality to increase the chances your beautiful new website will be seen by your perfect customer. Below are the additional services we can include to enhance your website’s ranking. As part of our SEO strategy, we perform keyword research specifically for your business niche. We consider frequently searched terms associated with your service as well as successful keywords that your competitors are using. This optimization includes your website’s content, page titles, and images. We use the concise list of terms from your keyword research and implement their placement throughout your website. We optimize your local presence through business citations and adding your site to local and niche directories. We also advise on other local best practices to get customers to your site. Optimizing your website’s page and post content is crucial for successful search engine rankings. We advise how to structure your content and direct in which keywords to focus on. While we cannot writing your content for you, we have partnered with content writers who can write for you. This is sometimes a worthwhile investment. Some website projects require specialized landing pages for local SEO and other needs. We can create unique landing pages that are specific to the business goals. This allows for clear and direct messaging and instructs the user to take the intended action. When requested, we can perform SEO audits throughout the year to ensure you are keeping the pace in your search rankings. If we are rebuilding an existing website, we will analyze the current site’s performance. As a part of your audit, we will perform a crawl analysis, broken links check and site speed assessment. Keeping with the brand of your business, we will design around your image so that your customer recognizes you over multiple platforms. While we build basic SEO into the foundation of the site, there is much more that can be done to optimize your online presence. With the newer niche of Digital Marketing become necessary, we can refer you to the best professional for that service. Melissa is a true professional in a sea of website design options. Transparent and authentic and 100% reliable. I have enjoyed the process of creating a website with her! Melissa knows her industry and always has ideas for me to keep my site current and clear! I feel attended to and supported for all my hosting needs as well. I recommend her to all my friends looking for website help, I give her 10 Stars. I needed to build a website from scratch. Two, in fact. I spoke to a number of web designers and always felt I was getting the hustle. Then I spoke with Melissa, and she was great. She listened. She offered good ideas. She helped me define my needs and a whole lot of things I hadn't thought about. She was always pleasant, responsive, and on time. And now that the sites are complete, she shows the same level of service in addressing my little nits and questions. She's really that good. When you're putting together a business there are so many things to think about. But I had immediate trust in Melissa's skills and understanding. I would not hesitate to recommend her to anyone, and I know I will be working for a long time to come. I greatly appreciate how easy it is to communicate with Melissa. She has (patiently) walked me through several tech oriented features that enhance our visibility. Highly recommend Simplified! I had Melissa renovate my very outdated website for my acupuncture clinic and I am thrilled with the results. I had never done a project such as this and Melissa was so kind and professional in guiding me through the process. It really felt like we were on a team. She followed through on the original web design timeline and gave me excellent ideas along the way that I would've never thought of myself. Since the launch of my site, I have seen an increase in clientele; her work on my site makes me feel like my business has been elevated in a way that it never has been, despite 11 years of being in business. If you're considering work on your website, look no further, you will be so happy with the result! Simplified Web Design was simply AWESOME! I had a pretty complicated and unique request for a website that included an online store with digital downloads. I didn't even know where to start. Melissa and her team put together a beautiful website that looked simple, but was complex on the back end.She trained me how to manage the website, and to use the backend to fulfill custom orders. She set up the SEO plan so that my website became discoverable on the first page within a week, which is almost unheard of. Melissa had many ideas for how to make the site better, and we executed. I am very proud of the work that we did, and look forward to using this website to launch my new business.I would recommend Simplified Website Design to any business. Thank you Melissa! Melissa had a clear vision of how my website should come together. I submitted pages of information and she was able to sift through it and create a vision that made sense. She had amazing focus and quickly worked to put it together. I was so happy with the end result and all the extra things she added! I would highly recommend her to anyone needing a polished, professional and easy to use website! Melissa went out of her way to create my website the way I wanted to to look. She made the process very easy for me. Her depth of knowledge is vast. I was amazed by her patience and presence, she made me feel like I was very important. Melissa was wonderful to work with. She made my website work for me. She took my ideas and made them 10x's better. I could not me more pleased with my website. It is simple to use and beautiful to look at, at the same time. I would suggest everyone have Melissa design their website if you want it to be functional and amazing. Melissa's expertise and dedication makes my website management simple. I love her practical, innovative, creative solutions and willingness to do what it takes! A joy to work with! Melissa has built numerous websites for my company and I couldn't be more happy with her work. I’ve worked with several web designers in the past with mixed results and Melissa has been a savior to us over the past year. She’s attentive & timely with her projects. Her follow up with our clients is impeccable as she always waiting on them rather than them waiting on her. I recommend Melissa with the highest regards…you will not be disappointed! Melissa was our *Business Doula* while we birthed this new business and website. She was knowledgeable and built our confidence by simplifying the process during this potentially stressful time. She supported us through challenges and took us farther than we thought we could go!I have been delighted with the work Melissa has done for two of my businesses and have seen direct, tangible outcomes of the work with her. She is easy and refreshing to work with her, as she really does simplify and streamline what others in this industry make complex and unmanageable. I am so relieved and excited that I have been able to work with her over the last 3yrs.Several of my colleagues have also utilized her services at my recommendation and are equally as satisfied with their experience working together and their results. My only regret is that I didn’t start working with her sooner. Melissa has this great (unusual) blend of technical, design and people skills. Having worked with her before, we upgraded to the full package and got a lot of her time for the second project. She really helped us hone in our message(s), the look and feel that we present to the outside world, and get us optimized beyond what I could imagine. She was excellent at accommodating our changing needs and various personalities. The work and the outcomes was excellent.